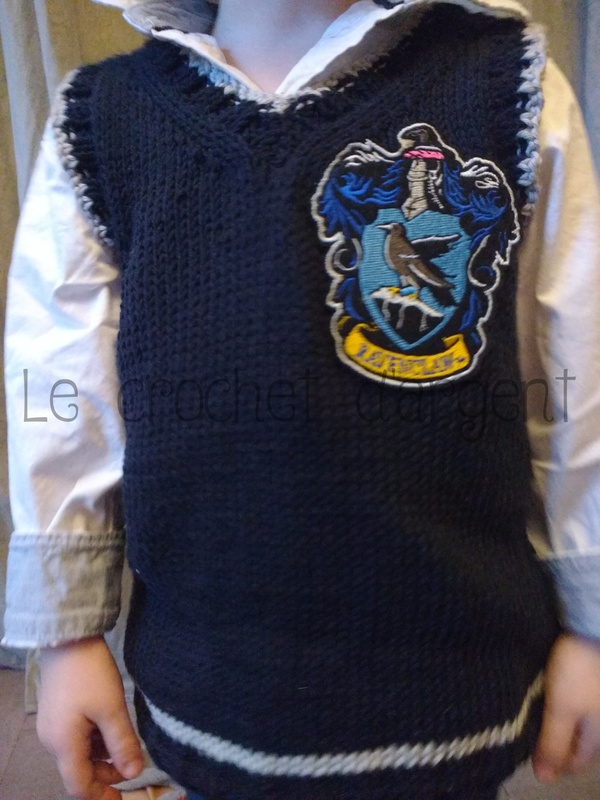 Kids are back to school, but the needles heated up during the holidays: here is a replica of the quidditch Gryffindor Harry Potter sweater! The idea was to make a tight sweater, like a “sock sweater”. 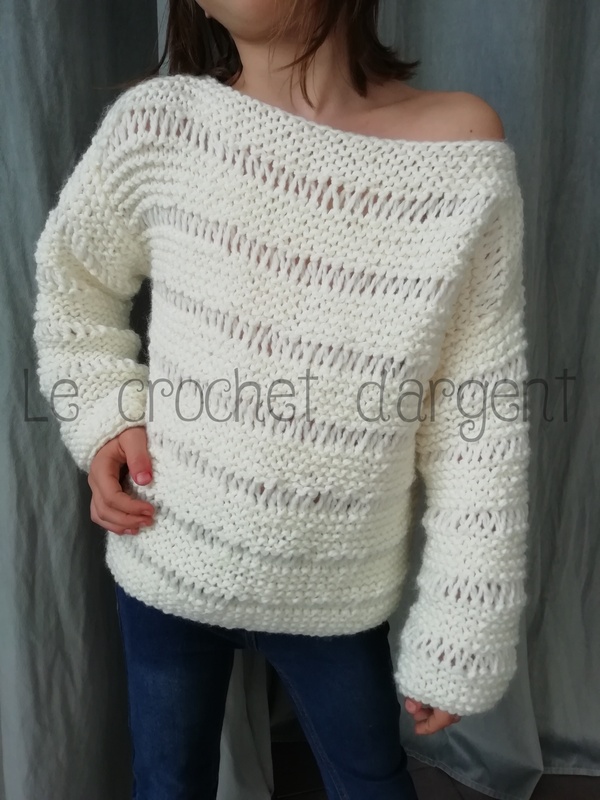 It is knitted in 4 needles (3.5mm), with “Rapido”, an acrylic yarn from Annell, an extremly soft yarn and very very very nice to knit! 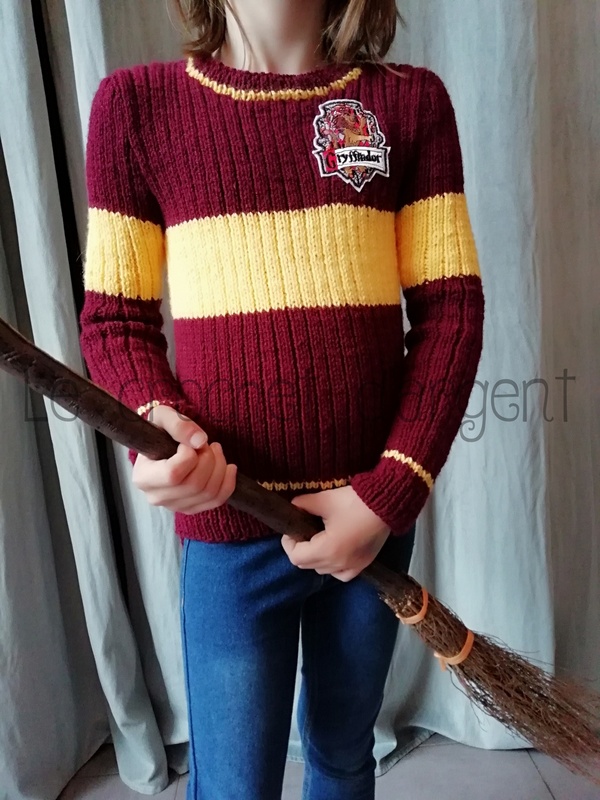 In the Gryffindor colours for my daughter, but easily adaptable to suit your home. CO 80 stitches with 4 neddles in red, *K1, P1* on 4cm. Then, *K2, P1* on the right side, knit and purl stitches as they appears on wrong side. 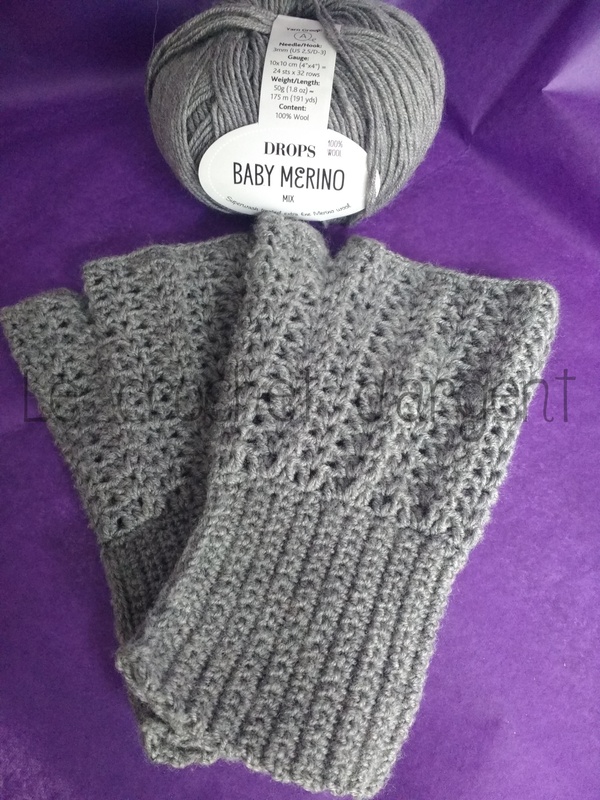 At 10.5cm of total height, change for the gold color and knit/purl 2 rows. Take back the red color, then at 25cm of total height, change for gold color and make 22 rows in gold. Take back red color, make 2 rows and bind off on each side 1x3st, 1x2st and 1x1st. Continue on the 68 stitches. At 47cm of total height, bind off for the neck the 20 central stitches, then 2x3st. At 49.5cm of total height, bind off for shoulders 2x4st and 2x5st. At 4.5cm of total height, change for the gold color and knit/purl 2 rows. Take back the red color, then at 19cm of total height, change for gold color and make 22 rows in gold. At 39cm of total height, bind off for the neck the 14 central stitches, then 2x3st, 1x2st et 1x1st. At 43.5cm of total height, bind off for shoulders 2x4st and 2x5st. CO 42 stitches with 4 neddles in red, *K1, P1* on 4cm. 2 rows red after ribs 1/1, 2 rows gold, take back red color until 26.5cm of total height, 22 rows gold color, 2 rows red color. every 2 rows 1x1st, 1x2st et 1x3st. Sew the sides of the sweater, the shoulders, the sleeves making sure to match the lines. Pick up stitches around the neck with gold color, *K1, P1* for 1 row with gold color (=2 rows with pick-up row) and 5 rows in red color. Sew the patch on the left side of the sweater. 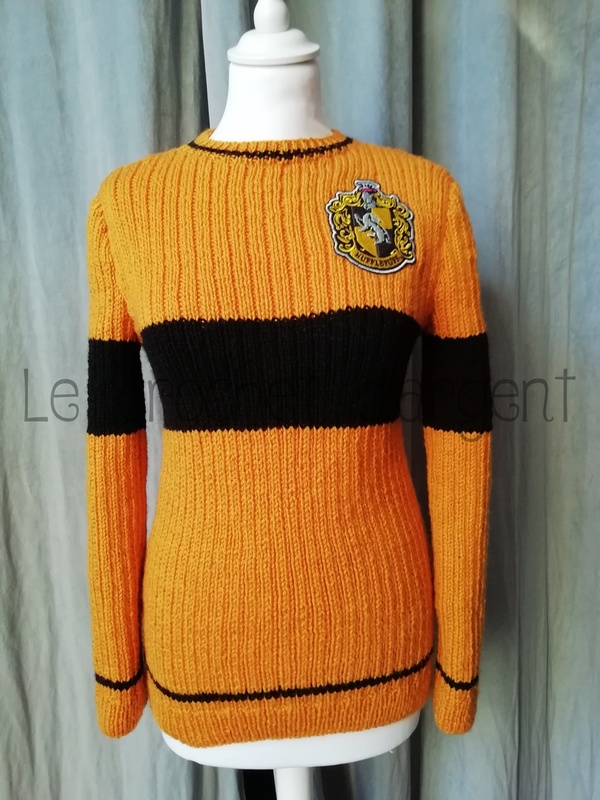 Now you can get on your broom and proudly wear the colours of your home and your quidditch team! See you soon and good knitting! Did you like this article? Subscribe to be informed about upcoming publications.